On 11-19-13 HouseOfMuscle.com sent out email newsletter #177 entitled Sponsorship Opportunity From House Of Muscle. 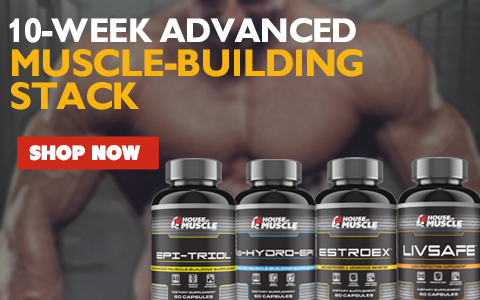 The first line of the email was House Of Muscle wants you! Do you have what it takes? Their backgrounds and athletic endeavors were from a range of different sports and activities, such as bodybuilding, powerlifting, strongman, olympic weight lifting, physique competitions, mixed martial arts, cycling, boxing, american football and motorcycle racing. I was also impressed by the care and creativity that was shown in the variety of different submissions that arrived via email, Facebook, Twitter and YouTube. We received text, photos, and videos that really told great stories about the amazing journey toward athletic discovery that many of you are currently on. I applaud all of you who took the time to send in a submission. We appreciate your time to tell us about yourself and your athletic goals. Personally, I never really thought of our sponsorship opportunity as a contest. 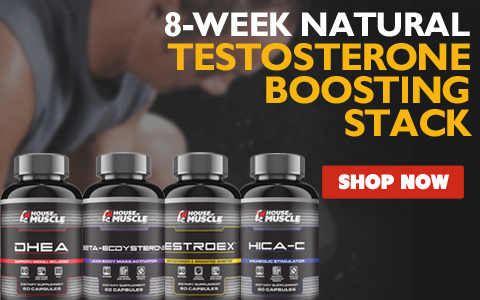 It was and is an effort by HouseOfMuscle.com to help our customers reach their goal of building a lean, hard, muscular and strong body by providing motivation, information and supplementation. We decided that by sponsoring one athlete we could use that athlete's journey to motivate and teach all of us, everyone "In The House Where Muscle Is Built", what it really takes to achieve one's goals. We welcome all of you, who are "In The House", to follow the athlete we have decided to sponsor. It should be an interesting and informative journey. The athlete that we are sponsoring is training for a competition and wants to take his efforts to the next level. This athlete realizes that supplementation is a key factor in his training and nutrition plans. This athlete will show everyone how the sports nutrition supplements in the House of Muscle line take his training to a higher level. The athlete we are sponsoring is Ethan Pendry from York, Pennsylvania, USA. 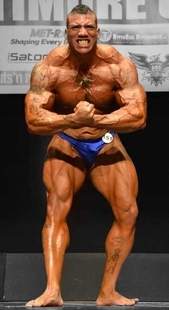 Ethan is a bodybuilder who is preparing to compete in a National Physique Committee (NPC) bodybuilding competition. We will follow Ethan as he moves forward in his attempt to achieve a top 5 finish at the National Physique Committee (NPC) Jay Cutler Classic Bodybuilding Competition (National Qualifier) in Baltimore, MD, USA on 11/02/14. By following Ethan and understanding all aspects of his training, diet, rest, supplementation and mental outlook we hope to gain valuable insight into what it really takes to prepare and work hard toward a specific goal. We also hope to inspire Ethan, just as he will inspire all of us, as we all move forward in our own personal quest to build the lean, hard muscular, fit and strong body we desire. Whatever your reasoning is for beginning your own personal quest, this journey of self discovery that Ethan is about to begin, combined with what this journey reveals, will help us all achieve our goals.